Can you believe it's Spring already? I can't, it's still really cold here in Ohio…. but that doesn't mean that the awesome weather isn't just right around the corner. We all have those baskets to prepare and some even have clothing to buy for special services that we may choose to attend. 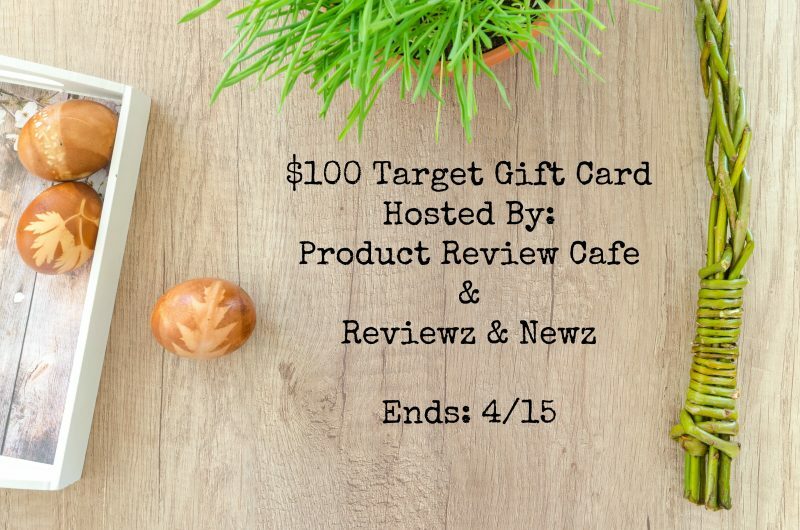 What better way to celebrate than with an extra $100 to spend at Target in your pocket? Our boys love Easter and growing up it was always one of my very favorite holidays. Growing up I enjoyed spending time with my cousins and dressing up in fancy clothes, complete with lace trimmed socks & of course the oversized huge woven hats, strappy sandals or saddle shoes, and then gathering for a family meal. These days things are not quite so fancy, the boys get an Easter basket and may be a few other things, as we like to keep things a little simpler these days. I always put the baskets together and make sure my husband also has a few things that he likes in his. A couple years ago, my husband and I decided to have a “family basket” for him and I since we lived in a tiny apartment, it was getting too much having so many baskets. This year, (shhh don't tell him) We're going back to having our own baskets again. I enjoyed the egg hunts a lot with the family and as mentioned of course the dressing up part was always fun for me as well.